This week, I’m going to share my experience using Buzzlogix. You may or may not have heard about it yet. In this post, I’m going to share some insights on what Buzzlogix is all about and how you can use Buzzlogix like a professional. 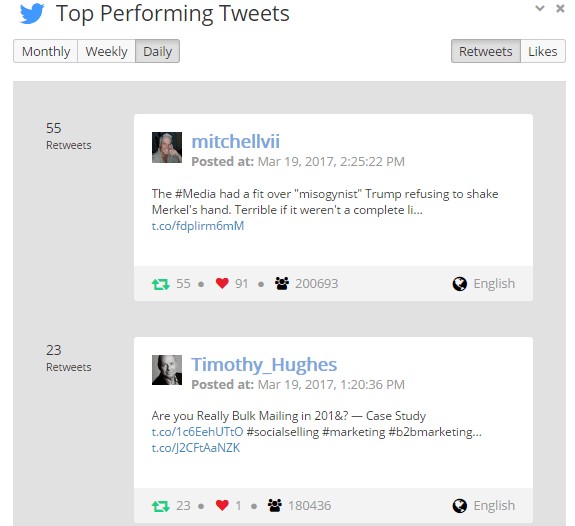 If you are looking for a social media tool that does a lot of reporting, all in one dashboard and easy management, Buzzlogix may be the best option for you right now. 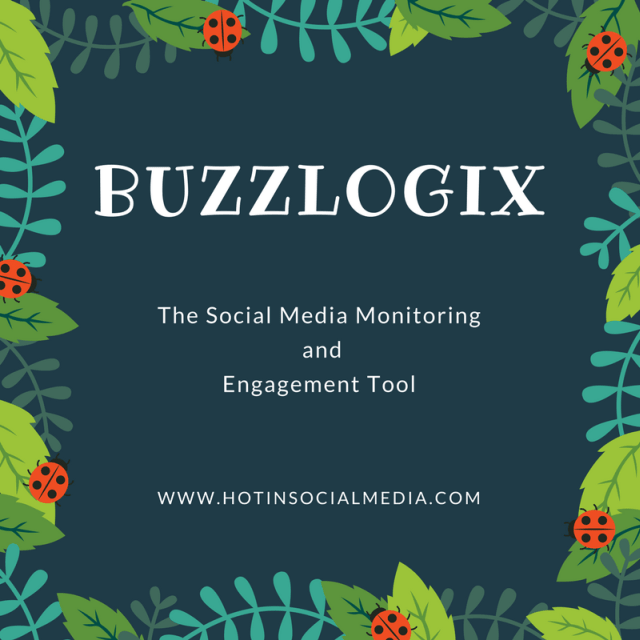 Buzzlogix is the latest social media monitoring and engagement tool you can find on the Internet. It is important to understand that at this point in time, Buzzlogix is entirely free to use at least for a couple of months as they are still in beta stage. This is the time you should consider trying them out first (and with the ‘free’ tag, it makes a totally no brainer). They call themselves as the smart assistant for the social media specialists. Being in the social media industry for some time, they are very bold with this statement. The above are all created to ensure that you are able to simplify your social media campaigns while measuring results and getting tons of valuable insights under one roof. Another important feature of Buzzlogix is the ability to monitor, discover and pinpoint the most important discussions about nearly everything, from your brand to your competitors. The Buzzlogix dashboard is kind of cool. To be honest, it is very clean, effective and very intuitive. What I can get from the dashboard is a full, 30-days mention on specific social media platform, 7-days mention and even 24 hours period. Apart from that, I also have the mentions per source over time which is really good to understand how that specific topic is trending in the market. And ladies and gentlemen, that’s real time! There is also a toggle to adjust between time where I can choose on a daily basis (my favorite), day, week, month, year and even all (which starts from day one). One important thing that you need to be aware of is that Buzzlogix will only work and start collecting data from the time you register and add the social platform to it. This means that you can’t get any data from previous times (before using Buzzlogix). Buzzlogix also comes with top-performing tweets which are really cool, to be honest. I can easily use this information to interact with followers and ensuring that I could increase my brand visibility as well. This is where the real monitoring happens. You can literally ‘spy’ on your competitors and keep track of the latest trends with just a few clicks. 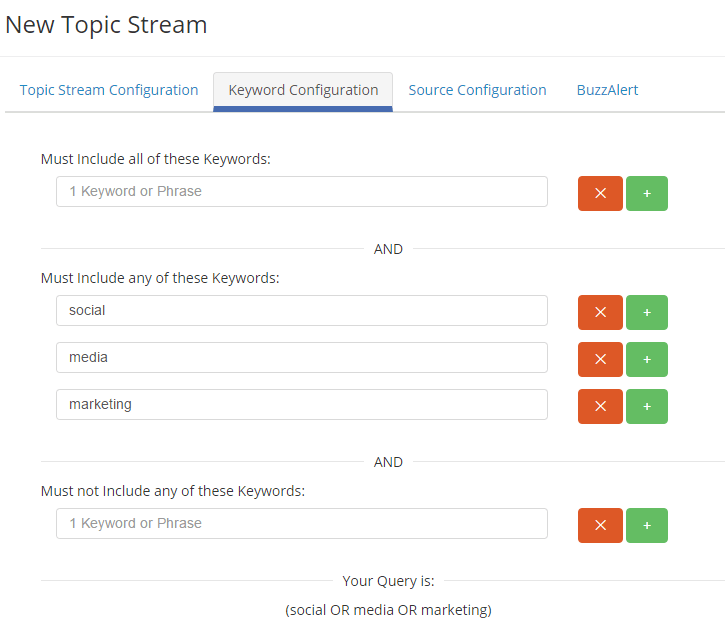 Here’s how you can setup Buzzlogix topic stream. The second button would allow you to open the conversation tab. You can also call it monitoring tab if you wish. Here’s how it looks like and how you can setup the monitoring tool. It does look a little like Hootsuite feature (to be honest). Note: Pressing the green ‘+’ button would add a new column while the red ‘-‘ button will delete the column. As you can see, the reports into a beautifully constructed timeline. What matters most is that each of this timeline will show you the number of retweets, likes and even followers reach (assuming that you are trying to listen on Twitter). The timeline is great because it also gives you the exact time of when the post was uploaded. You wouldn’t want to engage with something that happened a few days back or a few hours. You want to engage with something that is close to real-time and with Buzzlogix, you can get that with just a click of the button! 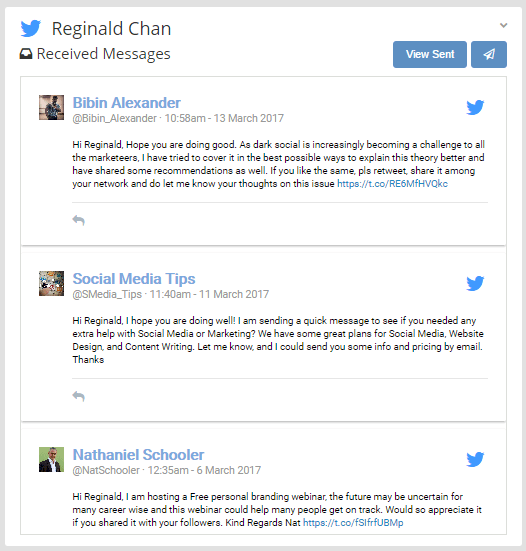 Buzzlogix allows you to reply to messages directly via their inbox. So, what you need to do is to tell the system which social media platforms to import. Once that is done, the system will refresh, and a list of messages (like the above) will be visible. And yes, you can reply directly to your followers from Buzzlogix. One of the key features of Buzzlogix is the ability to view all the send messages. For marketers who handles multiple social media account, Buzzlogix allows you to toggle between send messages and received messages. Do you know that it is really easy to manage your content via Buzzlogix? As you can see, you can easily add new content and shorten the links (love this feature by the way) before you publish or schedule it. One of the best features I truly love is the attachment of media. Buzzlogix allows users to upload media content from three various sources; computer, OneDrive, and DropBox. While I certainly hope they add Google Drive in the near future, having the ability to upload content from these online file hosting services is definitely a great move. 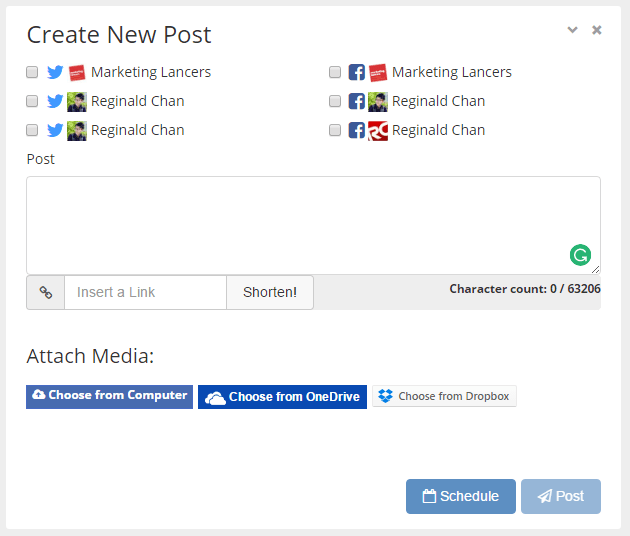 For marketers who constantly save content using these tools, it can really be a time saver and more importantly, it can really make you be more productive at work! Buzzlogix also comes with two cool calendar views which allow you to view content that is posted and scheduled. Again, kudos to the team for thinking of this! Honest option: I know that some marketers prefer to see everything in one calendar but for me, having split calendars (one for published and another for scheduled) is a great move especially for easy management. Buzzlogix is still in beta mode and therefore, you may still find some odd errors with it. For your information, I encountered once during my registration of account, but hey, it is normal since they are in beta. What interested me a lot with Buzzlogix is their features and indirectly, leveraging the power of artificial intelligence. 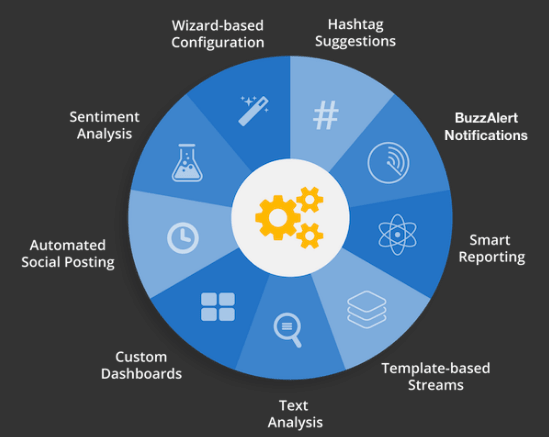 Once they go completely live with their analytics and intelligence reporting, I’m sure Buzzlogix will be one of the best marketers can find on the market. Last but not least, there is no price tag at the moment but we hear a rumor that they are planning to offer a free version and paid version that will start under $40 per month…. we will see.